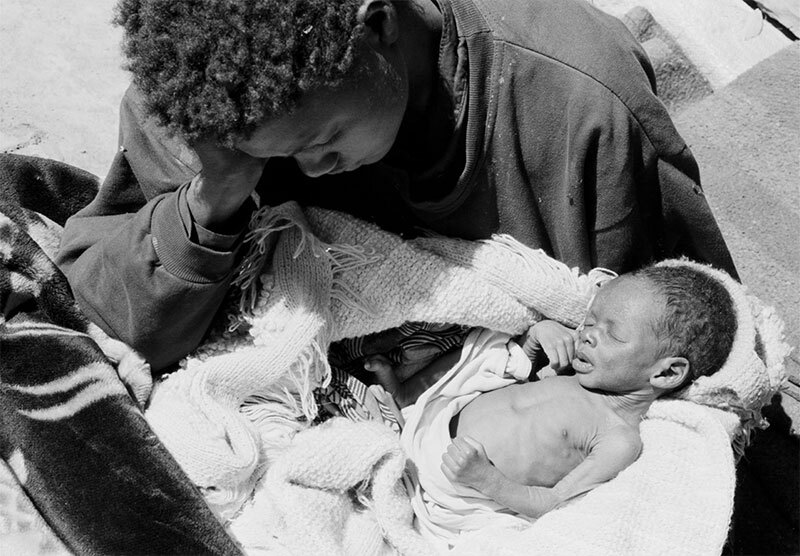 In 2002, a woman (21) holds her malnourished baby, in Southern Province, Zambia. When this photo was taken, clinics were filled with mothers and children succumbing to AIDS with very little any doctor could do. Today, HIV prevalence is lower and it is possible to prevent the transmission of HIV from mother to child with 83 per cent of pregnant women living with HIV in Zambia receiving treatment. A special supplement of the Journal of the International AIDS Society, which I have co-edited with Douglas Webb and Lucie Cluver, considers the impact the new Agenda 2030 (the outline to help institute the Sustainable Development Goals) is going to have on work in the HIV field. Will it mean our efforts no longer have the same focus as before? Will the sheer range and scale of the SDGs threaten the funding of programmes on HIV? Far from this being the case, we think the lessons we have learned in the HIV field over three decades could be key to attaining the wider SDG objectives. Among these are the necessity of every sector of society working together, the need to address entrenched social norms and the importance of taking into account the human rights of people affected. Above all, the infrastructure that has been established in response to HIV is a significant asset on which to build comprehensive provision of health and social services in low-income countries. In the 1990s, when I was working as a clinician in a paediatric hospital in my home country, Zambia, there were times when the idea of ending AIDS by 2030 would have seemed like an impossible dream. It is a rare day when my early experiences as a doctor in Zambia do not come back to me as I think about how far we have come in combatting HIV and AIDS – and how far we have still to go. But here we are in 2018 and the achievements since then have been utterly remarkable. A nurse holds a child’s growth chart in the waiting area of the Chelstone Clinic in Lusaka, Zambia. Since 2000, two million HIV infections have been averted in children. This is a direct result of vast numbers of pregnant women living with HIV accessing antiretroviral medicines. The global progress made in preventing new HIV infections in children is without doubt one of the greatest public health achievements of the Millennium Development Goals (MDG) era. Even better, the progress is continuing. For example, as of 2016, 76 per cent of pregnant women living with HIV were receiving effective antiretroviral medicines, compared with just 47 per cent in 2010. Over the same period the number of new HIV infections in children has been reduced from 300,000 annually to 160,000. In Zambia over 80 percent of pregnant women with HIV now receive effective antiretroviral medicines to prevent mother-to-child transmission and six other countries in Eastern and Southern Africa have now achieved over 90 percent coverage. Back in that paediatric hospital in Lusaka, had I been told about the achievements of the worldwide movement to combat HIV by 2018, I suspect I would not have been satisfied – I would have thought of all the children and mothers who continued to die and would have insisted that we did not rest until the disease had been eliminated. And that is how I still feel now. Dr. Chewe Luo is Associate Director and Chief, HIV and AIDS, UNICEF, New York.